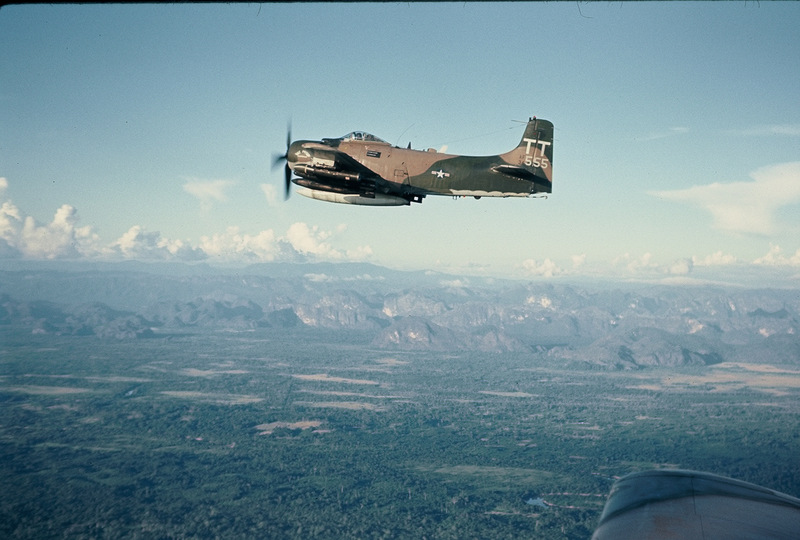 A1 en route to northern Laos with Don Combs in the other airplane. Don was shot down in this same airplane several months later. The picture shows some clouds of the monsoon and the big bend in the Mekong which I refer to frequently in the book. The karst in Laos not far from the river. 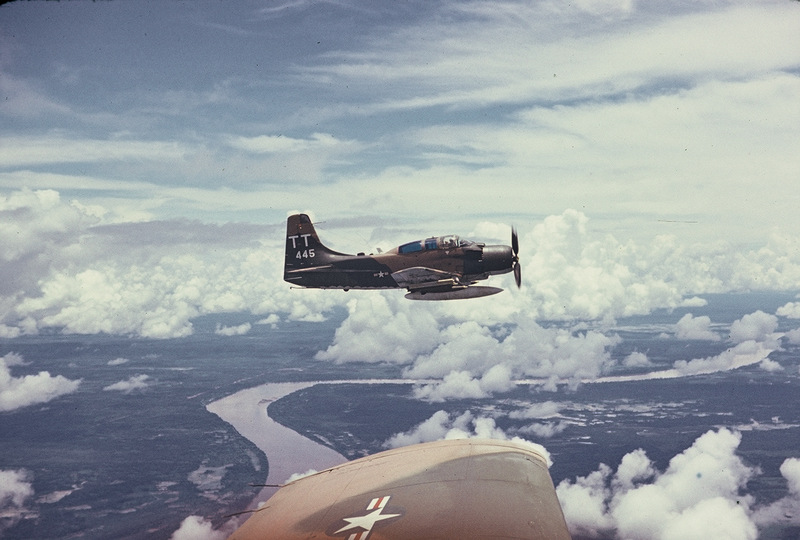 It is a good picture of a single seater, A-1H or A-1J. Unfortunately, the pilot in this airplane didn’t return from a mission about forty hours later. On this mission, I was flying as an IP for a guy getting checked out at night.